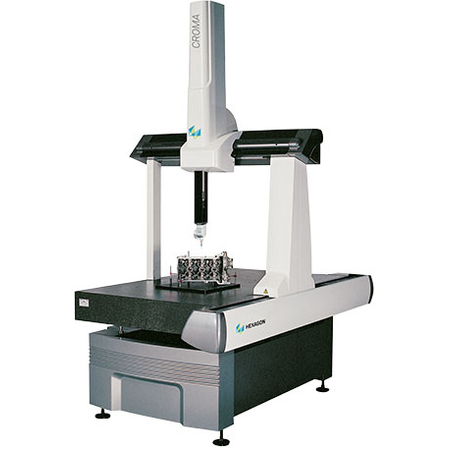 Cost-effective entry-level coordinate measuring machines - CMM Inc.
CROMA is an ideal option for customers looking to purchase their first coordinate measuring machine or increase capacity for an existing quality assurance operation. CROMA machines provide complete performance for workpieces of many shapes and sizes and deliver a quick return on investment. With a combination of advanced frame design, well-engineered structure, specially designed controller technology and the latest software packages, the range balances accuracy, throughput and reliability with price/performance ratio. The CROMA is available in a variety of sizes to meet the needs of every business. Driven by PC-DMIS, the CROMA is a useful measurement solution for the needs of newcomers into the CMM market.